Planet Bike has now released their response: a subtle but powerful upgrade to the Super Flash we all know and love. The light looks exactly as it always did, but instead of a removable back to swap out AAA batteries, there's a micro USB port on the side. The light's flash pattern, mount, size, and shape are all the same as they always were. The light is completely sealed, eliminating the annyoing problem its predeccesor had where the back would separate from the front if dropped. It should also be more waterproof than previous generations of the light. 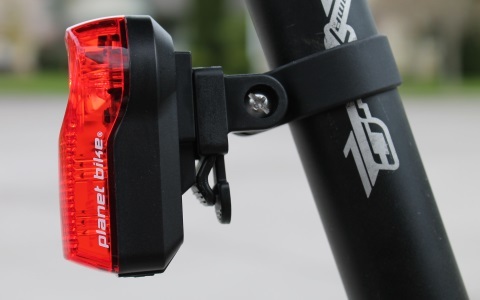 I've always been a fan of Planet Bike's taillight mounts, and the new USB SuperFlash doesn't change a thing. 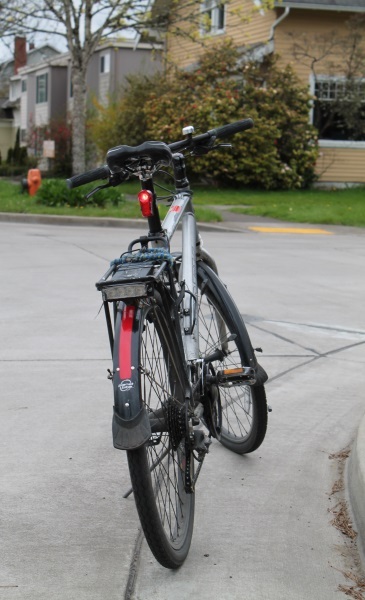 The standard seatpost and stay mounts are included, and you can buy a rack mount separately. The light locks in with a reassuring click, and I've never personally had one come out while riding. 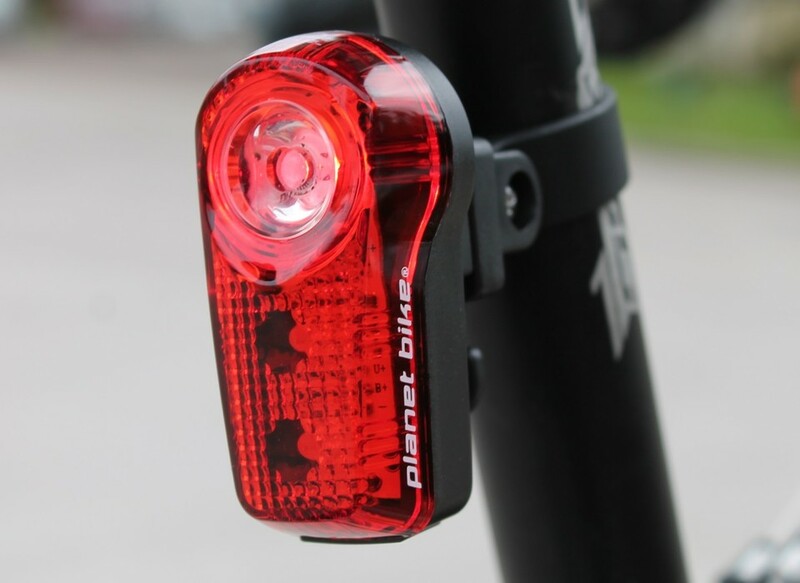 Planet Bike updated the buttons on all of their taillights last year, and the new SuperFlash carries that forward. The button is easy to press intentionally, hasn't activated by accident, and gives a nice tactile click when pressed. In operation, the light has impressive battery life. On the steady-burn mode, it ran for almost 8 hours before automatically switching into a low-power flash. The light ran for another 30 minutes in this flash mode before powering down. Compared to other rechargeable lights, the battery life is impressive — Portland Design Works' very similar Aether Demon ran for half as long at approximately the same brightness. Unfortunately, the first rechargeable light from Planet Bike is only available with a 1/2 watt LED. The company's SuperFlash Turbo is much brighter, and has a more eye-grabbing flash pattern, but is not available in a rechargeable configuration yet. I would have preferred a light with a brighter LED and shorter battery life, especially if a half-brightness mode were included, allowing it to still achieve long runtimes when necessary. Other lights, like the Cygolite Hotshot, are available with many more flash pattern options, higher and variable brightness, and at a similar price. The beam shape on the SuperFlash is also very concentrated, while lights like the NiteRider Solas and the L&M Vis 180 offer much more even spreads of light. The light is not bright enough to be visible in daylight conditions. Overall, I'm impressed with the design Planet Bike's first rechargeable light, but disappointed in the low light output. If it were released like this 3 years ago, it would have been a sensation. The battery life is excellent for a rechargeable light, but comes at the cost of light output. The light also doesn't quite match the flexibility that some of the competition offers. There are definitely other options that will give you more for your money.